I had appointments, so I needed to do something really quickly - I had such a blast last month for the HLS CAS challenge, that I am hoping to throw myself into this one too - so, I decided to recreate a card I made for someone a while ago and it was well received, so I'm hoping that this one will be too. 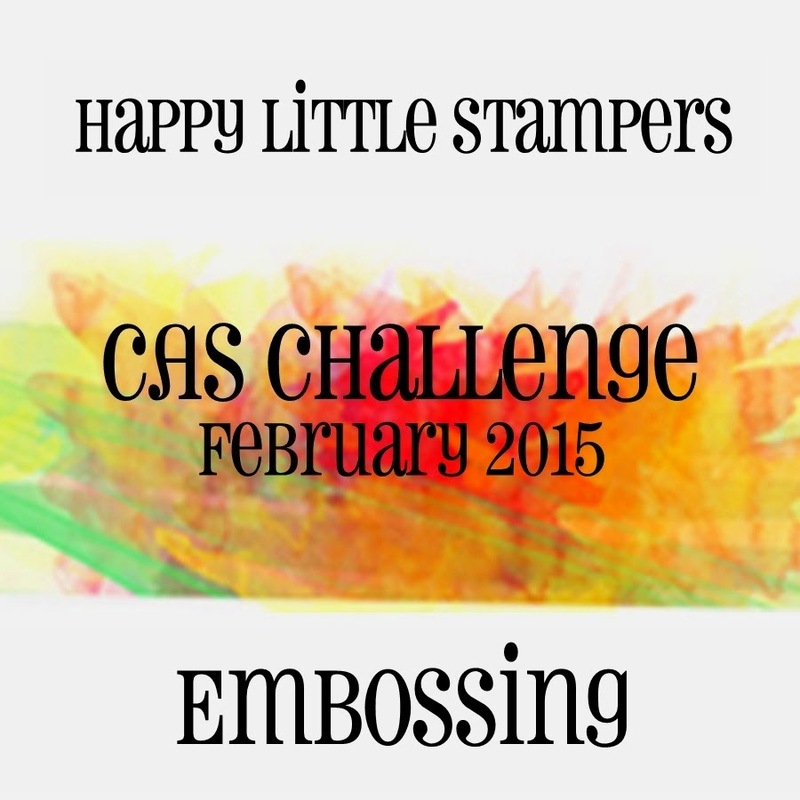 As it is all about embossing and CAS - lots of white space - I decided to make the embossing the star of the show, so, it is a really simple card, in that it involved just one embossing folder and one stamp . . . can't get much simpler eh? Sorry this post is super rushed, but I have to go out again soon and I wanted to get this up. Only one picture today, but I promise to be back with a longer post on Thursday - tomorrow I'm having to take my eighty-nine year old mother to have a cateract operation, so I won't be around much then. A brilliant CAS card Hazel. Love, love the embossing, the touch of blue is just perfect. Wishing you and your Mam well at the hospital. Another masterpiece you have added to your collection. You make this look so easy!! Very pretty, Hazel! Even though we card makers get used to seeing embossed cardstock, I think most people are pretty impressed with embossed cards. I am certain the recipient of your card will absolutely love it!. Best wishes to your mom as she undergoes cataract surgery. Beautiful CAS card and I love that sweet blue bow! A CAS beauty, Hazel!!! 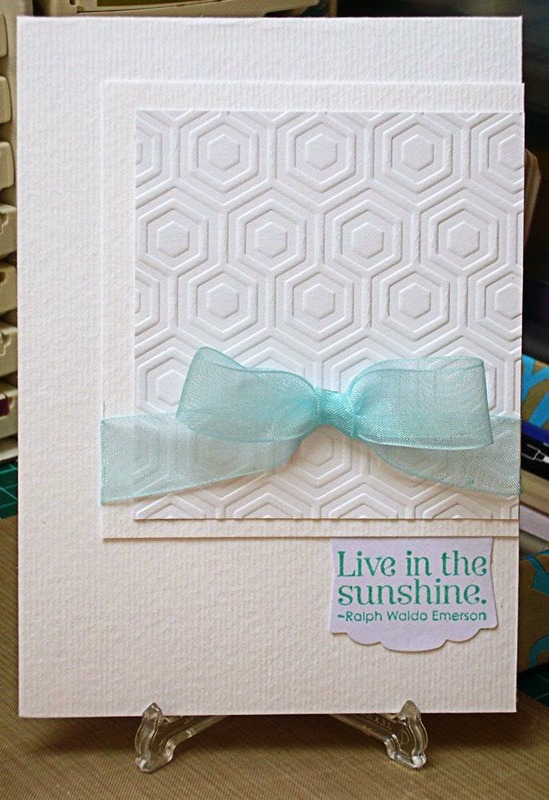 I love that stunning EF and the way you have put the card together to have all the attention on the lovely embossing!!! Lovely bow and a lovely sentiment!!!! Great card, Hazel!!! Hope your mum's op will go well!! Beautiful card...love the white embossing paired with the pretty soft blue ribbon. Such an elegant look.